Passing that love onto my kids has been of prime importance to me from day one. I figure if I can do just this one thing, get them hooked on loving books as I do, then I’ll have done my job here. Plus sharing books with kids is just plain fun. I love reading with my girls. 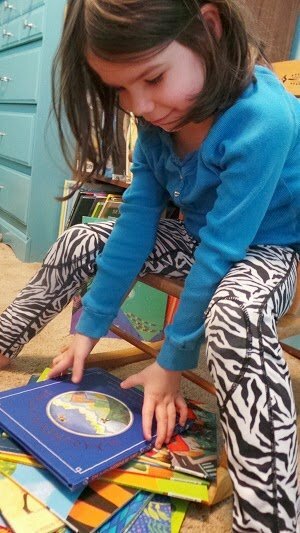 I love our bedtime storytime rituals and I love the fifteen times a day my little one asks me to read her a picture book (even when it’s often the same picture book fifteen times in a row). However picking out which books to buy for my kids… well, that part can be somewhat harrowing. Yes, every kid needs a copy of the Paperbag Princess and Where the Wild Things Are, L Frank Baum’s Oz books are another must, as are C.S Lewis’s Narnia series, and Wilder’s Little House Books. But what the heck do you pick once you venture outside of the classics? I’m not saying there aren’t great contemporary kids books being published, there most certainly are. But there are also what feels like an endless infinity of crappy books for children out there. When I stand in the book store I often feel like I am lost at sea, adrift in shelf after shelf of, at best, mediocrity. And in my opinion the worst of the worst, the real dregs of the kids book section, is the licensed stuff. If there is a character from some kids cartoon on the cover I’m willing to bet money the book is a stinker. Then I found a solution to my kid-book-finding problem: Barefoot Books. When I was first introduced to Barefoot Books I was a bit leery, as I’m not really keen on that whole house party sales shtick. The thing is, when the product is this awesome I’m willing to overlook the whole party-marketing thing. Because these books are consistently fantastic. My kids love them, I love them. We own dozens of Barefoot Books and I’ve yet to run into a stinker. No gimmicky licensed crap here. Just words artfully put together with illustrations that run the gamut from simple and stylized to breathtaking. So when my friend Kim became a Barefoot Books consultant I was actually excited. Go figure, me excited about one of my friends becoming a party-hostess style consultant. However in this case you can shop online via their website and get it shipped directly to your home, no party silliness required. Over the past year or so my kids have accumulated quite the pile of Barefoot Books, and I’ve never hosted a party, virtual or otherwise. 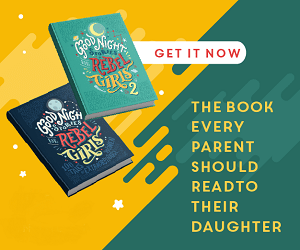 There are classics to be found here, fairy and folk tales, some popular and well know, and some perhaps more exotic, there are picture books, and chapter books, books designed for those learning to read and board books for babies. Many of the books include a CD. With any of the CD ones we’ve listened to the quality of the narration has been consistently outstanding. Physically the books are well produced, the binding and the paper quality is top notch. The books are sturdy and well made, and hold up to little hands reading them, turning the pages a little less than gently, tossing them on the floor or stacking them in odd configurations on the bookcase. 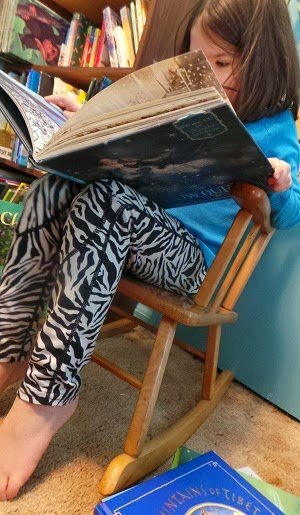 We love our Barefoot Books. These are books that my kids love, which I love reading and sharing with them. I will admit I’m not crazy about reading the “song” books out loud (think Wheels on the Bus or Over in the Meadow) but my kids adore them and the accompanying singalong CD gives me a chance to let someone else do the reading/singing. What about you guys? How do you find the best books to share with your kids? What are your favourite books to read aloud? What classics can you simply not wait to share? EDIT: The giveaway attached to this post has now closed. Congrats to the winner of the 4 Animal Stories books, Silvia D. of Chilliwack, BC.